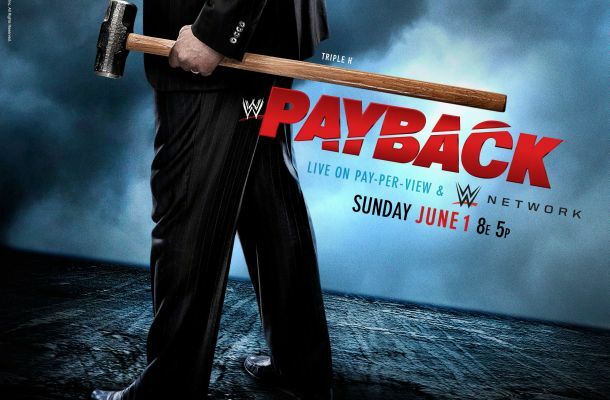 WWE Payback is coming our way live from Chicago, Illinois on June 1st. The Chicago crowd is one of the very best WWE crowds there is and they have an exciting card to get behind. The betting odds were recently released and there are some great opportunities to make some money. For the first time in a long time there will be no World Heavyweight title match at a WWE pay-per-view as Daniel Bryan is currently suffering from an injury. However, the show will be highlighted by an elimination match between The Shield and Evolution. A lot of people were surprised to see the Shield get the big win over Evolution last month and this month the bookmakers have the odds at the same number meaning they have no idea who will win. Those are always the best and most exciting matches. The undercard is pretty stacked as well highlighted by a US title match between Cesaro and Sheamus, an Intercontinental title match between Bad News Barrett and Rob Van Dam; and John Cena facing off against Bray Wyatt in a Last Man Standing match. There is also a Divas title match and a matchup between El Torito and Hornswoggle, but the less said about that one the better. As you can see there are some heavy favorites heading into this one, but that doesn’t mean that there isn’t value to be found. 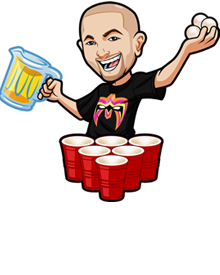 Below you will find our expert analysis and tips for betting on WWE Payback. El Torito (-900) vs. Hornswoggle (+500): El Torito’s whole character is that he is a bull so him losing the mask here seems insane. The odds reflect that and he should win easily. Skip betting on this one. Sheamus (-475) vs. Cesaro (+325): Cesaro, the newest Paul Heyman Guy, has struggled coming out of his big win at Wrestlemania while Sheamus seems entrenched as the US champion. Sheamus’ place in WWE is kind of a John Cena-lite so he should pretty much always be favored to win, but I think WWE really sees something special in Cesaro and he could easily win the title here. Bet Cesaro to become the new US champion. Rusev (-180) vs. Big E (+140): Rusev has been going through opponents like a freight train since his debut and it’s hard to see him stopping here. Big E’s career has stalled a bit over the past year and Rusev is clearly on the upswing. We normally don’t tip wrestlers that are this large of favorites, but Rusev is a lock. Bet Rusev to continue Russia’s dominance. Wade Barrett (-2000) vs Rob Van Dam (+1000): Rob Van Dam is basically the new Chris Jericho, an old star who comes back to make the new stars look good. These odds definitely reflect that theory and I am staying away from this one. John Cena (-300) vs. Bray Wyatt (+220): This match is a Last Man Standing match which is basically kryptonite for whoever John Cena is facing. He can’t be beat in them. If this was any other match I would love these Bray Wyatt odds, but John Cena never loses these things and John Cena should win to end the feud. Paige (-4500) vs. Alicia Fox (+1500): Paige is the future of the WWE Divas and taking the title off of her here would be a huge mistake. This should be an easy win which is clearly reflected in the betting odds. Skip this one. Evolution (-120) vs Shield (-120): Last month many people were surprised that the Shield were able to defeat Evolution in their first match out. This time the odds are close as the bookmakers don’t know who will win. To me, this is a mistake as the Shield should be favored once again. A match with elimination rules favors a good guy team everytime and I just feel like this could be the night that dissension starts to show up in Evolution. This feud feels like it could end at this event and if that is what happens, you have to go with the young superstars who are dominating WWE. Bet on the Shield and believe in them.